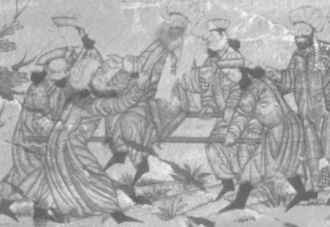 The word assassin was derived from hashashin (user of hashish) and originated in Europe during the Middle Ages. It was used to describe a member of a secret order of the Ismaili sect of Islam founded by Hasan ibn al-Sabbah in 1090, that were infamous for their use of murder to intimidate or eliminate their enemies. Hasan and his followers first took control of a mountain fortress called Alamut, on the southern shore of the Caspian Sea. He then sent out missionaries who spread the order throughout Persia and Syria, and so was able to establish a power base among the outer tribes and mountain people. As Hasan’s influence grew, he wanted to expand his empire and protect himself from his enemies as well. He did not have the military power to confront his enemies directly, so he simply had them eliminated by killers who were able to infiltrate the enemy defenses by disguise and deception. Sometimes they would even join the enemy leader’s inner circle of advisors or personal bodyguards, and wait patiently—sometimes for several years—for the signal to strike. When the moment came to dispatch the intended victim, they would stab him to death with a knife, and then instead of trying to escape, they would calmly await their fate. 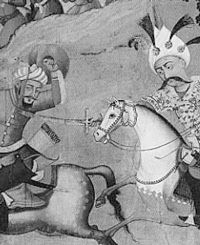 Hasan and his successors were so successful at eliminating their enemies, that they were greatly feared throughout the Middle East and in parts of Asia, Africa and Europe as well. "The Old Man kept at his court such boys of twelve years old as seemed to him destined to become courageous men. When the Old Man sent them into the garden in groups of four, ten or twenty, he gave them hashish to drink. They slept for three days, then they were carried sleeping into the garden where he had them awakened. When these young men woke, and found themselves in the garden with all these marvelous things, they truly believed themselves to be in paradise. And these damsels were always with them in songs and great entertainments; they; received everything they asked for, so that they would never have left that garden of their own will. The empire of the Assassins was eventually destroyed by the Mongols, but the sect could not be completely eliminated because they were widely dispersed throughout the Middle East and parts of Asia. Some Assassins migrated to India and started a sect called the Thugs. Rumor has it that the Assassins still exist in some parts of the Middle East, and they remain a secret society.